Its challenge time again over at Stamping with the Dragon with the theme being In the Kitchen and we the DT have had some gorgeous digis to work with. So today I would like to share with you a calendar wall hanging that I have created and I hope that you like it. 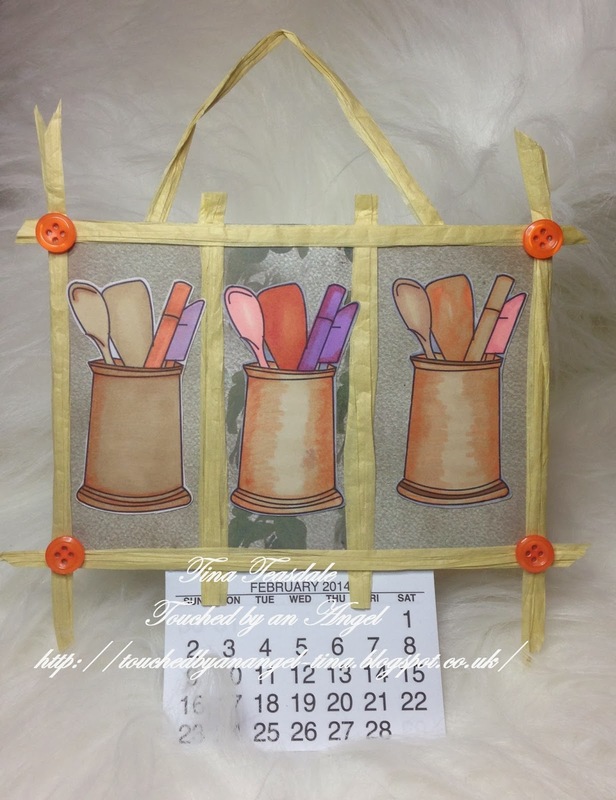 Embellishing: Straw coloured raffia formed the frames around the images and the hanger, buttons and calendar from my stash. We love to see what you create for the challenge each fortnight you are such a talented bunch ! pop over and join us this time for your chance to win a voucher to spend in the store.